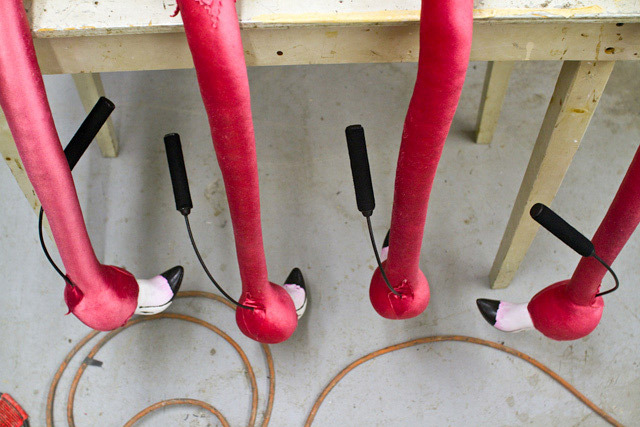 Top: A glimpse of some of Alice’s “wonderland.” Bottom: Inside the prop studio, flamingos patiently waiting to make their debut. WHAT: Sneaking backstage is every show-goers biggest wish, and to mark the opening of their new production studio the National Ballet invited the media to do one better: take a peek into the workshops where everything gets made in the first place. Equipment for over 90 productions—including costumes, lighting and sound equipment, and dance floors—are stored in the new facility. 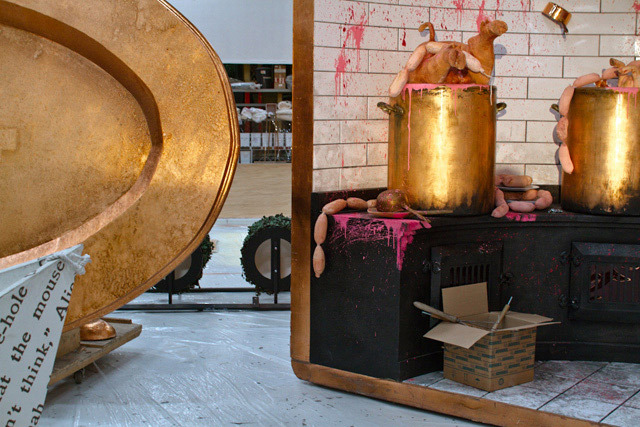 Sets and props for an upcoming production of Alice in Wonderland were out and being worked on—though we didn’t stumble into any actual rabbit holes along the way. Photos and words by Ryan Walker/Torontoist.